Feel the charm of the traditional country properties in Spain with this one. It is situated in a pleasant rural setting benefiting from lovely views over the surrounding countryside down to the mediterranean. Interior accommodation comprises a kitchen and living/dining room with an open fireplace, two double bedrooms and a shower room. The exterior of the property has a good size terrace on which to relax and enjoy the peaceful ambience of this lovely part of Spain. 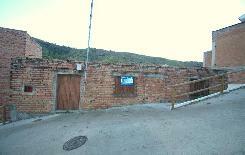 There is also a useful storage room and a ruin on the land that could be converted into a guest house. It is an enchanting house with lots of potential in a beautiful situation.